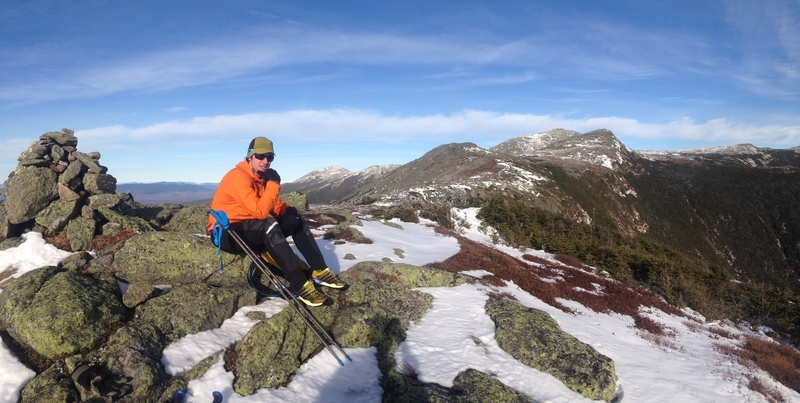 Taking a break on the Presidential Traverse, facing Mt. Washington. The famous Tuckerman's Ravine is down to the right.